Ecobank Tanzania celebrated Zambia’s 49th Independence with the Zambian Community in Dar es Salaam this week. Ecobank, with a presence in 34 African countries including Tanzania, sponsored celebrations of the 49th independence day of the Republic of Zambia held at the Zambia High Commissioner’s residence in Oyster Bay, Dar es Salaam on the 29th October 2013. The event was hosted by the Zambian High Commissioner to Tanzania, Ambassador Judith Kangoma-Kapijimpanga and attracted dignitaries from the diplomatic core, government, businessmen and the Zambian community in Tanzania. Permanent Secretaries from the Ministry of Agriculture, Mr. Siaka Lenge and the Permanent Secretary for Transport, Mr. Chiwala from the Republic of Zambia also graced the occasion. “Zambia and Tanzania are the only two countries that have shown leadership in the practice of Inter-Africa trade under the African Union framework through the TAZARA railway line, the TAZAMA oil pipeline and the TANZAM highway that boost trade within the two countries.” said Ambassador Kangoma during her address to the guests. “We continue to emphasize love and harmony between our people as has been demonstrated by our founding fathers to achieve greater economic, social and political progress.” She added. Mr. Enoch Osei-Safo, Managing Director at Ecobank Tanzania stated, “Africa’s productive capacity is fast increasing therefore the need to have structures that are responsive to the opportunities, resources and needs of the African people to spur sustained economic growth. With an unparalled presence in 35 countries over 25 years, Ecobank is second to none in terms of pan-African financial inclusion and intermediation”. 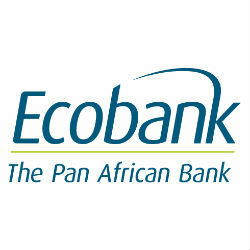 With 25 years of experience operating across Middle Africa and total assets of US $ 20 billion as of December 2012, the Ecobank Group network comprises 34 African countries and representative offices in London, Paris, Dubai and Beijing. Founded by Africans, and managed by Africans, Ecobank Group is focused on aligning itself with the socioeconomic imperatives of all the countries in which it operates. Ecbank started operating in Tanzania in January 2010. Today, the bank boasts of six branches across Tanzania and a lending portfolio, which consists of about 50% of loans to SMEs in Tanzania.